Custom heraldic royalty pattern used on sleeves and number to enforce the 'elite' aspect of the team. Pattern shown in detail below. Custom heraldic royalty pattern features historical imagery along with the Baseball Youth and Triton logos. Colored heather pattern used to provide texture. 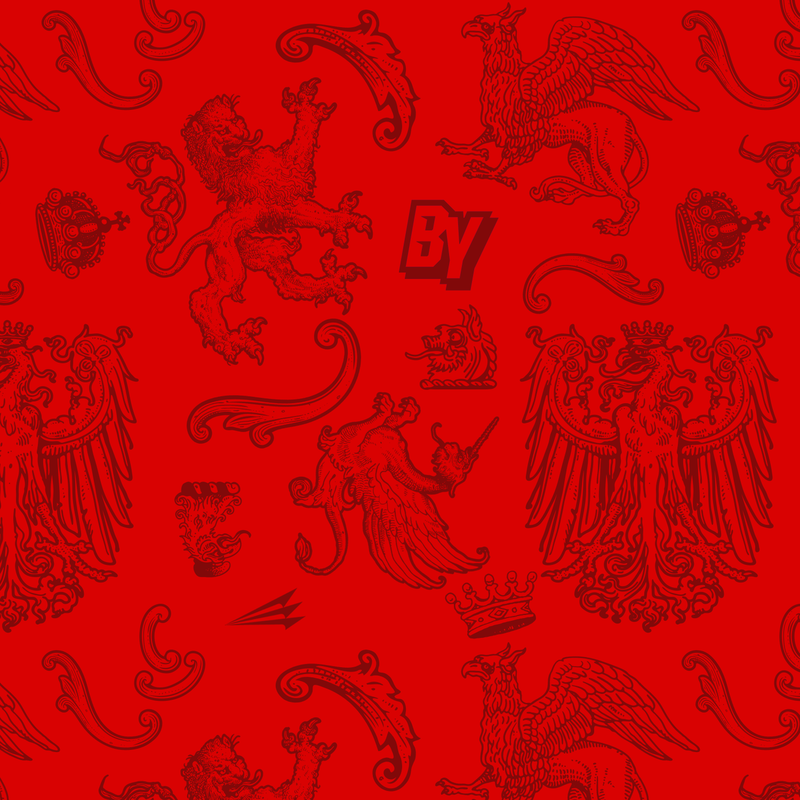 Custom heraldic royalty pattern used on jersey components. Tennessee state silhouette used behind logo with star over Pigeon Forge.